One of the most common digital marketing goals these days is to measurably increase online visibility. Whether your customers buy on your website or at your brick and mortar store, a strong internet presence helps consumers find, learn about and ultimately purchase from you. As you scour the internet for online marketing tips, you’ll see advice about blogging for search engine optimization (SEO), creating effective landing pages, using compelling imagery and more. But when it comes down to it, there’s one vital element to digital marketing that can make or break all these tactics and strategies: keywords. 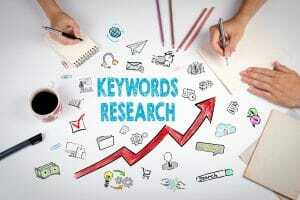 How Do Keywords Relate to Digital Marketing? 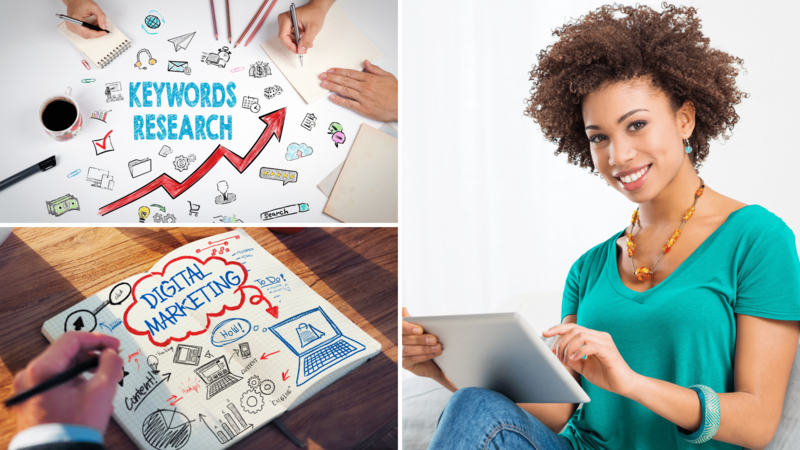 The right keywords are vital to your digital marketing strategy! When a potential consumer goes to a search engine like Google to look for something, they type in words or phrases to guide their search. These are keywords: the key terms website users enter to find what they’re looking for. Sounds easy enough. Users type in their keywords and your business comes up, right? Well, not exactly. Search engines use complicated algorithms to try to help their users find helpful and relevant results. These algorithms use a wide variety of factors such as website credibility, how often the site publishes and keywords used on the website itself. Once you know which keywords to focus on, you can begin to use them strategically throughout your digital marketing content (such as your blog, social media ads, etc.). Make sure you include a variety of keywords in your digital marketing content. Short-tail keywords usually consist of one or two words; for example, ‘WordPress themes.’ These keywords are broad and generic, but often ambiguous, with a high search volume. Middle-tail keywords usually consist of three or four words; for example, ‘WordPress themes for blog.’ They are more specific than short tail keywords but have less search volume. Long-tail keywords usually consist of four or more words; for example, ‘free responsive WordPress themes for blog.’ These are more detailed and very specific, but the search volume is even lower. Although it may seem obvious to opt for the keywords that receive the highest volume of searches, the best digital marketing strategies actually include a mixture of all three types of keywords. This is because, while the short-tail keywords are often searched for the most, the long-tail keywords are usually the ones with a higher chance of conversion. While you want to include long-tail terms as often as possible, doing it in a natural way isn’t always possible. For example, if your short-tail keyword is “dance studio” and your long-tail keyword is “affordable children’s dance studio in my city,” which do you think will be easier to wrap into a blog post or social media ad while still making sense to your target audience? It’s important to remember: while keywords are vital to your digital marketing strategy, writing for search engines isn’t the only focus. Search engines will bring consumers to your content, but if your article or landing page isn’t compelling for the potential customer you’re trying to reach, it’s a waste of your company’s time and resources. Researching digital marketing keywords begins with a thorough brainstorm. Get in the minds of your target audience. What words or phrases do you think they’ll search for in Google (or another search engine) to find a company like yours? Write down everything that comes to mind. What other ways can you make your brainstorm as thorough as possible? See what terms are already bringing traffic to your website. Hubspot explains, “Drill down into your website’s traffic sources, and sift through your organic search traffic bucket to identify the keywords people are using to arrive at your site.” Google Analytics is a great way to see this information. Talk to your staff. What questions do they repeatedly hear as they talk to current and potential customers? Specifically ask them what key phrases the client is using as way to gauge what someone might search for. Organize your list of potential digital marketing keywords as you go. Depending on how many ideas you come up with, you may want to separate your keywords out by category. For example, if you sell clothing online, you could create different columns for tops, pants, dresses, shoes, accessories, etc. To keep everything organized, I like to make these lists in Excel so I can see the different columns side-by-side. Go to Google and enter one of your keywords, then scroll to the bottom and look for the related searches. Those are more potential ideas for you to add to your list. Add any relevant terms to your list and move onto the next potential keyword. Go through your list, one at a time, until you search for each idea. A helpful tool for this part of the process is Keywords Everywhere. This browser extension seamlessly integrates with Google, so when you perform a search it tells you the keyword’s volume (number of searches per month), CPC (cost per click if you were to advertise) and competition (based on other content/keywords out there on the internet). In addition to providing these details about the term you search for, it also provides even more suggestions on the side of the screen along with their volume, CPC and competition. Go through each column and highlight the keywords you think will be best to focus on for your digital marketing. 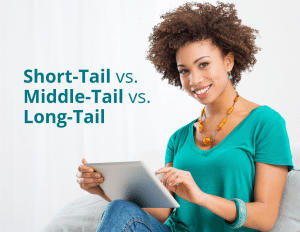 Remember to select a mixture of short-tail, middle-tail and long-tail so you can take advantage of the benefits of each. Following your research, finalize which keywords you’ll use for your digital marketing content. During this process, I sort the list a few different ways to go through it. 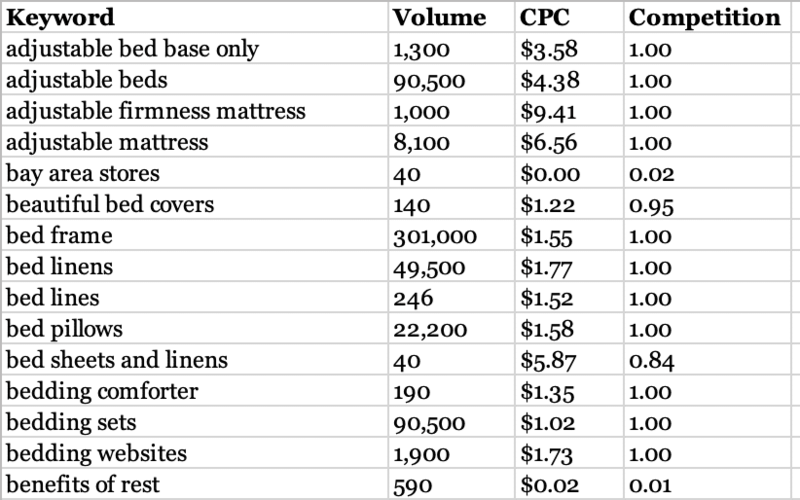 I often start by sorting the list by volume and looking at the terms most often searched for; this is a fantastic way to get a solid list of short-tail keywords. I’ll also sort the list by competition and CPC to help my brain see the best possible options in another way. Looking at the terms with the least amount of competition is often an easy way to determine long-tail keywords. Another helpful resource for evaluating terms on your list is Google Trends. This handy digital marketing tool allows you to input a few different terms and compare them by popularity, region and more – including trend history and projections. Write the highlighted terms down as a separate list so you and your digital marketing team can reference it moving forward. 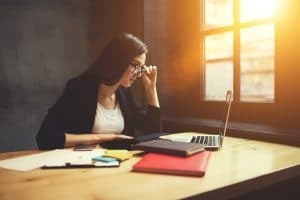 A successful digital marketing strategy requires more than researching the keywords: you also need to use them effectively. Remember, the entire point of your content is to connect with people. Keywords are a way to help search engines bring these individuals to your website; when they get there, your keyword-rich content needs to be well-written, easy to read and compelling for the consumer. Blog posts are one of the easiest and most effective digital marketing tools in which you can use keywords strategically on your website. 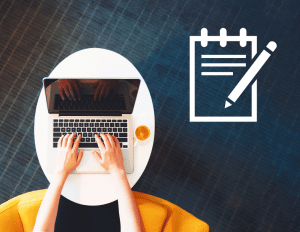 By adding new blog content regularly – down to the same day of the week and time of day – search engines will learn to come back and look for fresh articles. If you use your keywords in a natural way throughout the posts, your website will rank higher as internet users search for related terms. Your blog posts aren’t the only place to use your keywords, though! Sprinkle them throughout your website copy as it makes sense, include them in any digital marketing content you create (such as social media updates – both organic and paid) or, if you post videos on YouTube, use the same terms there, too! 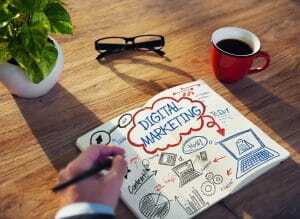 Contact Us for Digital Marketing Help! We’d love to help with your company’s digital marketing! Do you want to learn more about digital marketing best practices, or do you need help managing your online presence? We’re happy to help! 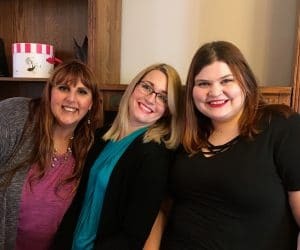 Contact us today for a complimentary, no obligation consultation, during which we can discuss your marketing goals, needs and budget, as well as potential ways we can help get the word out about your brand!